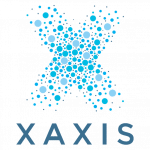 Xaxis was proud to be a part of the Female Founders Forum, sponsored by GroupM and Greenspring Associates, featuring influential executives from across the spectrum of media, marketing, e-commerce, technology, and finance. At the event, female founders talked of personal successes, overcoming challenges, and encouraging the hundreds of women and men gathered in the room at GroupM’s New York headquarters to empower each other. “As a woman entrepreneur you need to really believe in what you’re doing, and that takes a lot of courage.